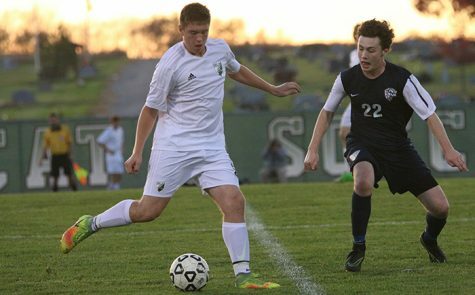 Junior forward James Henggeler dribbles past a Basehor-Linwood defender at the home soccer game on Sept. 25. 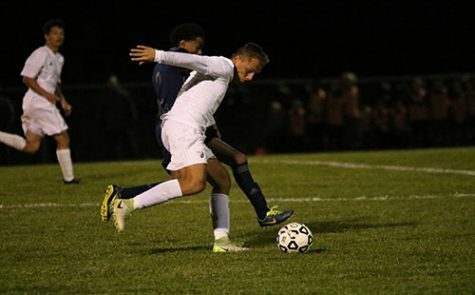 Put simply, this was the game the boys’ soccer team needed. 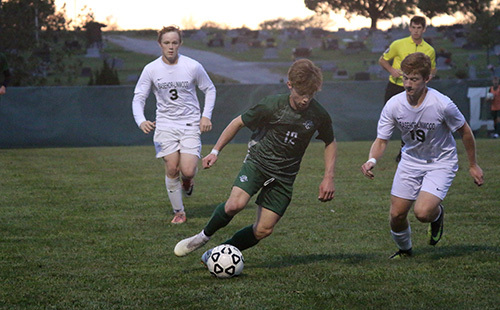 After losing a close decision to Mill Valley and suffering a heartbreaking tie against Kansas City Christian, the Wildcats needed to right the ship. 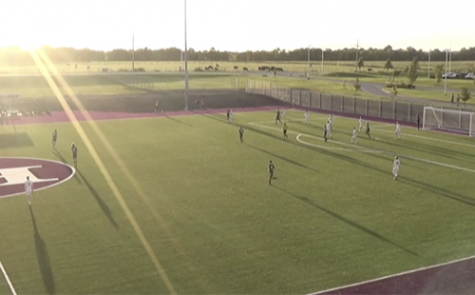 They did just that on Sept. 25, cruising to a 4-0 victory over conference opponent Basehor-Linwood, improving to 2-6-1 on the season. 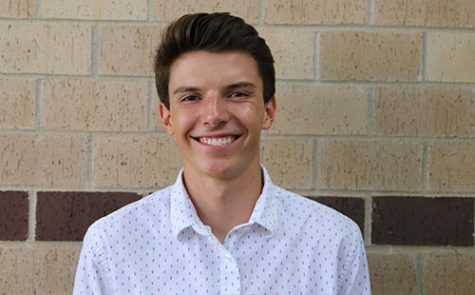 Head coach Drew Proctor commented that the sense before this game was that “one thing after another” had gone wrong in each of the previous losses, but that the team was able to turn that trend against the Bobcats. 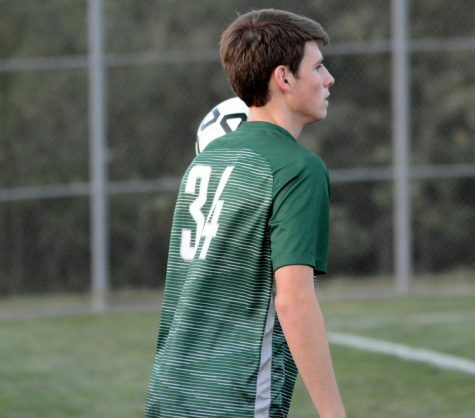 It was also the first win that featured varsity senior striker Daniel Apple, who had been sidelined for seven months prior with various leg injuries. 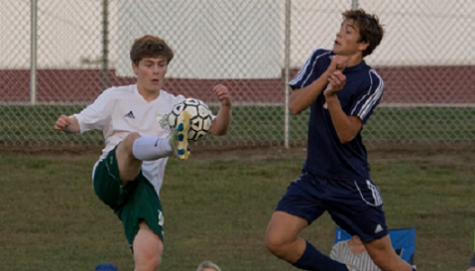 Apple was excited to make the return to the pitch and have an immediate impact. 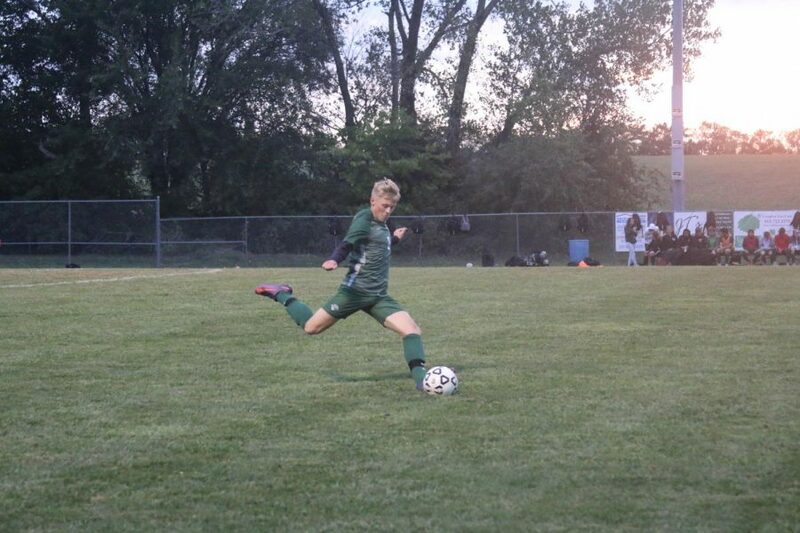 The team leader in goals scored last season has already scored in each of the three games he has played this season, including against Basehor. 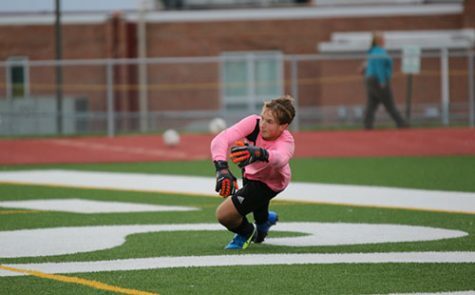 Besides Apple, senior defender Sean Eggers and senior midfielder Rohan Singh both put headers by the BLHS keeper, and junior midfielder Ian Endres also added a late score. Proctor has been especially impressed by Eggers’ consistency and versatility on the pitch. 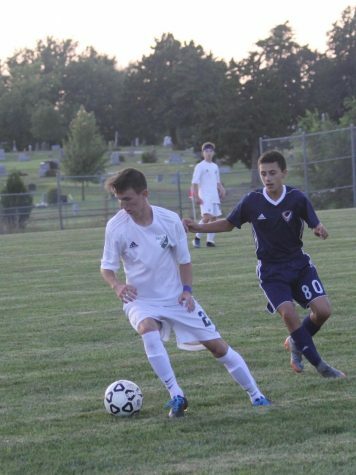 “Sean Eggers has been having some great games lately. He defends well, he’s getting up the field well, I mean, we’re asking a lot of him physically, and he’s doing exactly what we asked for,” Proctor said. 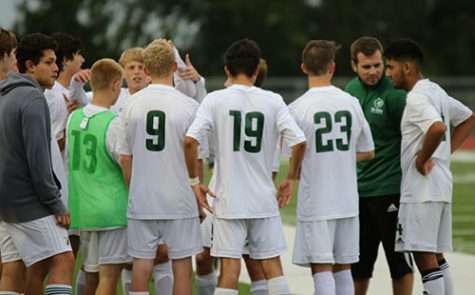 Despite the slow start, the team still has the chance to win the conference title by winning out from this point. They are also optimistic about their capabilities during the postseason as they continue to work out the kinks in their play. 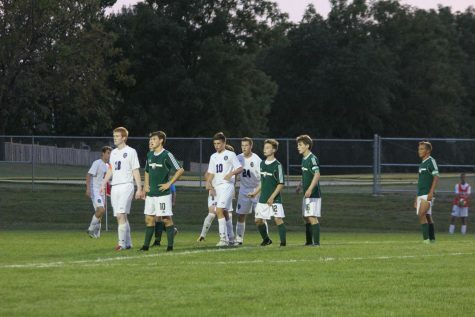 The boys’ soccer team will be back in action for a rematch against conference rival Lansing on Sept. 27. 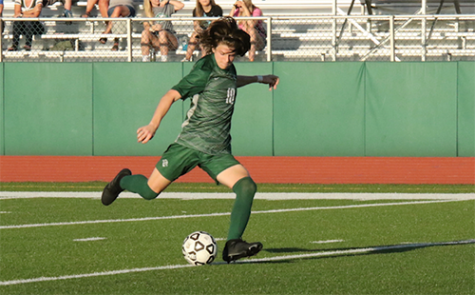 Junior defender Adam Lee takes a free kick in the first half of the boys' soccer team's game against Basehor-Linwood on Sept. 25.